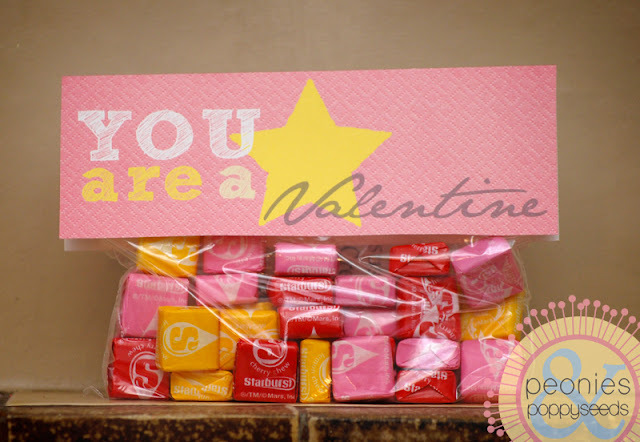 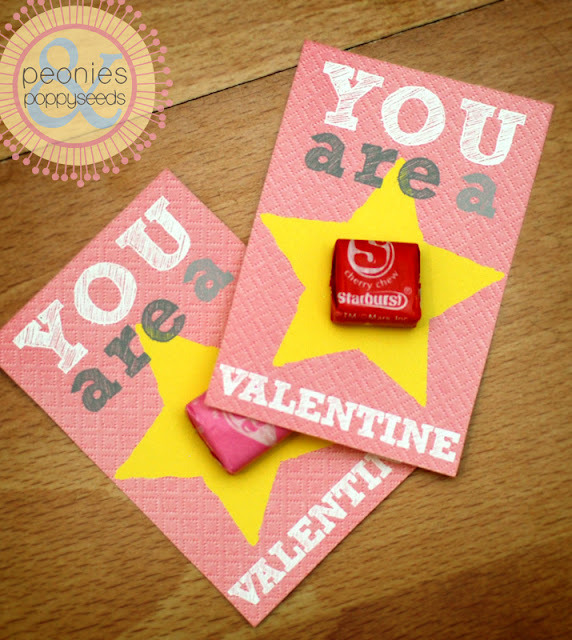 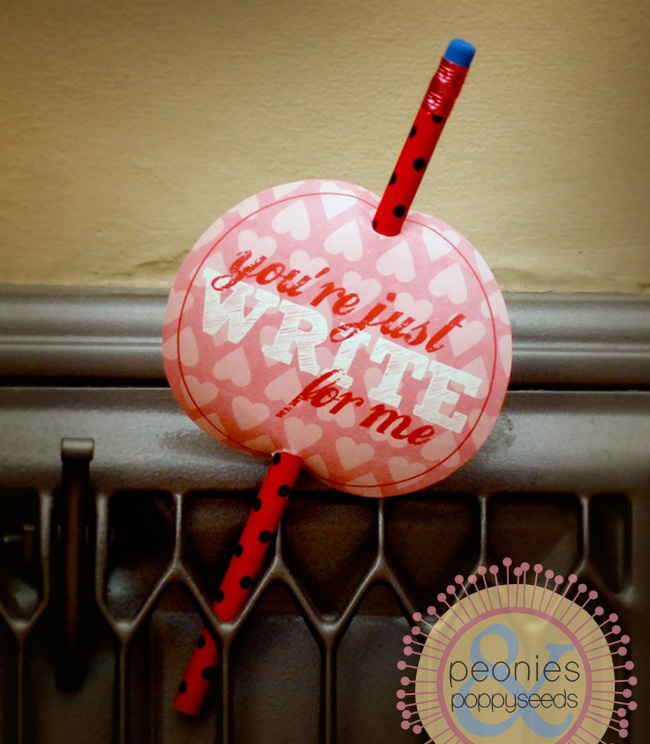 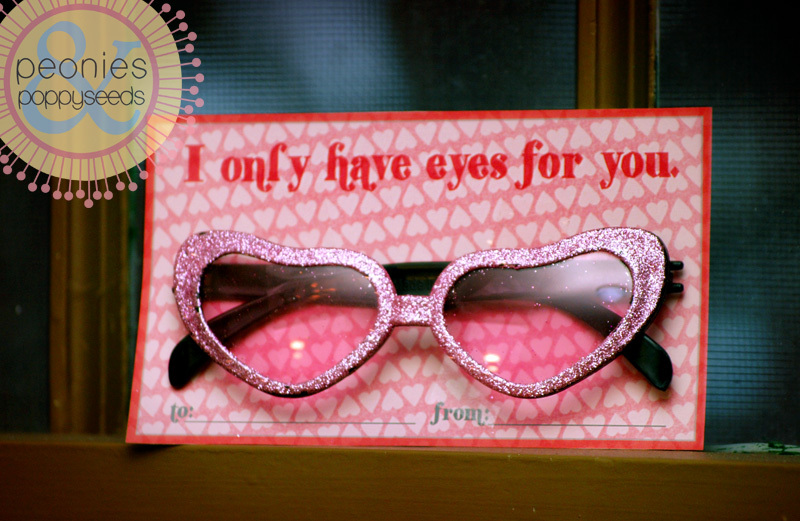 This printable can be used with Starburst candies. 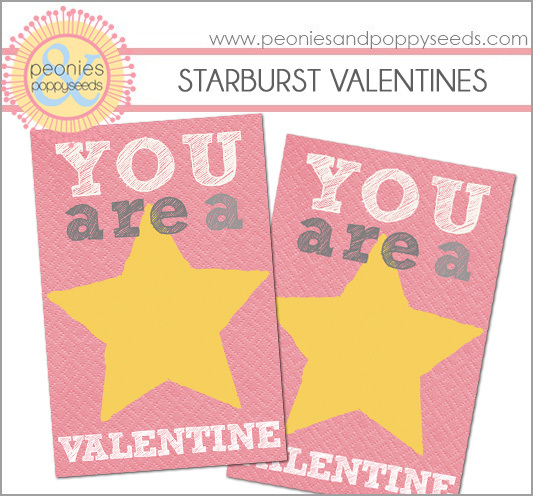 The printable comes in two versions - this first version has separate little cards that you can attach a single Starburst to (this is the cost effective way, if you're planning on giving out a lot - like for a classroom). 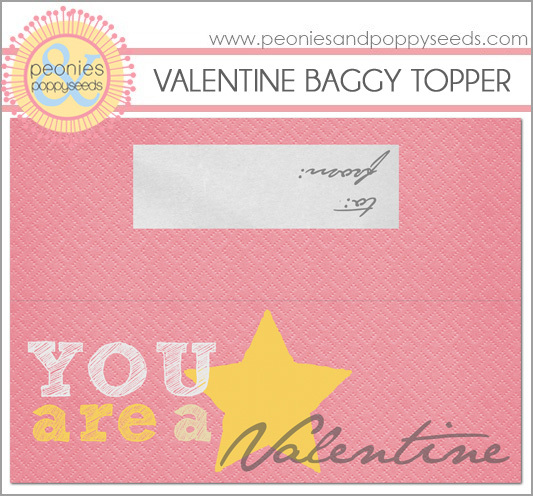 This printable folds over the top of a regular sized baggy.